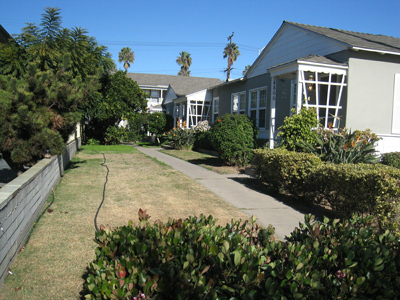 A complex with 6 apartment units in two buildings was just sold on the 4800 block of Niagara Avenue in Ocean Beach. The units at 4866-4872 Niagara Ave. sold for $1.3 million, cash. The approximately 2,904-square-foot apartments consists of six bedrooms and six bathrooms. Constructed in 1942, the complex is on a 7,300-square-foot lot and includes four single-car garages. Buyers Scott Thoeny and Carmen Thoeny, trustees of the Scott and Carmen Thoeny Trust, are registered at 5337 Croton Court, San Diego 92109. The seller of the property was Snyder Investments LLC, a California limited liability company. Older Article: More on Inbreeding in San Diego Politics: Haven’t We Met Before?